A-1 Home Care Agency offers in home Senior Care and Elderly Live In Caregivers in Huntington Beach and Orange County that will step in for you and ensure that your loved one’s needs will be comprehensively met. Has your elderly loved one reached an age where they might need additional assistance around the home? We offer At Home Senior Care services that will provide the necessary in home caregiving to your loved one by managing their medication, transporting them to medical appointments, keeping up the household, running errands for them and so much more. Our services include In Home, Elderly, and Live In Senior Care, as well as several homecare services to fit your elderly loved one’s needs. Want to find out more about our At Home Senior Care? Call us at (714) 523-4010 today! 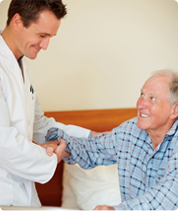 A-1 Homecare Agency delivers renowned Senior Care that keeps our clients happy and loyal to us for years. 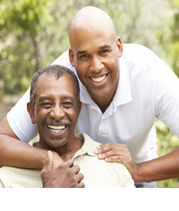 Our Senior Care Solution will help relieve the stress and concern that is implicit within caring for a loved one. We hold the highest standards for Senior Care at home and offer affordable rates to our clients looking for professional, non-medical care. We guarantee every one of our Licensed Vocational Nurses, Certified Nurse Assistants and Medical Assistants are well-trained and certified in providing compassionate, safe and effective care for elders to all our clients. 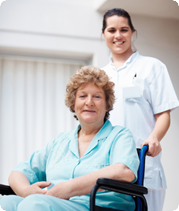 We are a Licensed, Bonded and Insured In Home Care & Elder Companion Care agency offering part-time, full-time, live in and hourly services – 24 hours a day, 7 days a week. The Senior Care Solution is designed to help your loved one maintain cognitive abilities, improve physical and emotional strength and develop a stable and healthy lifestyle for added benefits.